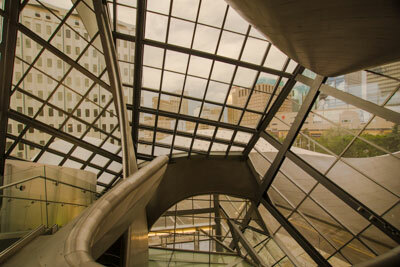 Like many international capitals, Edmonton is a marriage of different cultures; and nowhere is that eclectic diversity more apparent than in the museums and galleries that dot this vibrant city. 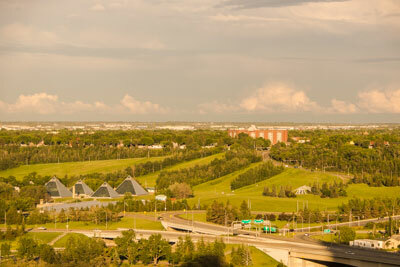 Located in central Alberta, this urban center thrives in the heart of the wilderness, just as the Edmonton cultural scene thrives in the middle of the so-called concrete jungle. From aboriginal culture and natural history, to trend-setting architecture, modern art and contemporary exhibitions, there’s no shortage of accessible diversions in this rugged Canadian metropolis. 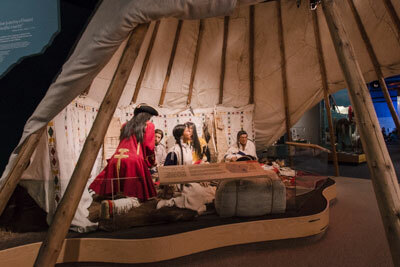 Located in a quiet park just west of downtown, the Royal Alberta Museum (780-453-9100, www.RoyalAlbertaMuseum.ca) focuses on Alberta’s natural and cultural heritage, and contains everything from First Nations’ artifacts to exotic insects. The goal of the museum is to encourage Albertans to play an active role in their world by fostering a better understanding of their heritage. And in that respect, they do a bang-up job. Access is good at the museum too, with accessible parking located near the entrance, and a drop-off area in front. There’s level access up to the front door, with elevator access to all floors, accessible restrooms, and plenty of room to navigate a wheelchair in the galleries. 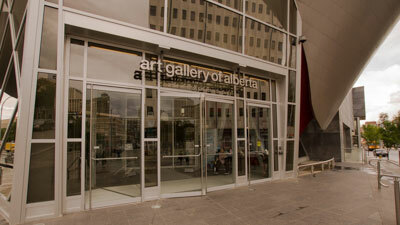 The Wild Alberta Gallery dominates the first floor and features dioramas of animals found in Alberta, and even a wheelchair-height aquarium filled with native species. The object of the gallery is to encourage visitors to view Mother Nature from a different perspective. 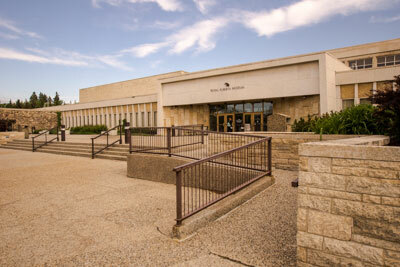 The second floor is shared by the Natural History Gallery and the Syncrude Gallery of Aboriginal Culture. The former contains an impressive gem and mineral collection, a three dimensional guide to Alberta’s birds, and a bug room with tarantulas, walking sticks and the largest cockroaches you’ll ever see. Conversely, the Syncrude Gallery of Aboriginal Culture presents an intimate look at the history of the Aboriginal people of Alberta. The exhibition chronicles 11,000 years and contains more than 3,000 artifacts, recordings, films and interactive exhibits that tell the story of triumph and survival of the Aboriginal people, from the ice age to the present day. It’s one of the largest First Peoples’ exhibitions on the continent, and it also shows how the aboriginal people have been portrayed — many times incorrectly — throughout the ages. Don’t miss the Residential School exhibit, as it’s particularly moving. These Canadian institutions very much paralleled the philosophy of the Indian Schools in the US. The thinking was that these schools would make the natives “good Christian members of the community”. And although they ultimately failed, it’s a very poignant — and sometimes forgotten — part of North American history. The Art Gallery of Alberta (780-422-6223, www.youraga.ca) is a must-see on any Edmunton cultural itinerary, as not only does the 85,000 square-foot gallery house more than 6,000 modern and contemporary works of art, but the building is an architectural masterpiece on its own. Designed by Randall Stout, the modern structure features angular windows set against a 190-meter steel ribbon that represents the North Saskatchewan River and the Aurora Borealis — two prominent natural features of the capital city. There’s level access to this modern building, with barrier-free access to the spacious galleries. Other access features include elevator access to all floors, accessible restrooms and free loaner wheelchairs. Accessible parking is available in the nearby Churchill Square Parkade; or if you’d prefer to take public transportation, there’s elevator access up from the Churchill Square light rail station. Since the museum is located in the heart of the Arts District, it’s also easy to get to by bus. Additionally, there’s no admission charge for attendants. The museum, which features a variety of rotating exhibits, focuses on the presentation of contemporary art from around the world. “New Lines: Contemporary Drawings from the National Gallery of Canada”, is a current exhibit which showcases a selection of contemporary works made by 21 Canadian and international artists. A variety of media, including pencils, watercolors, cut-outs and stamps were used to express the artists physical or intangible experiences, and document the vastness of the world. This exhibition only runs until October 5, 2014, so make plans to see it soon. Other rotating exhibits are announced regularly on the museum website. 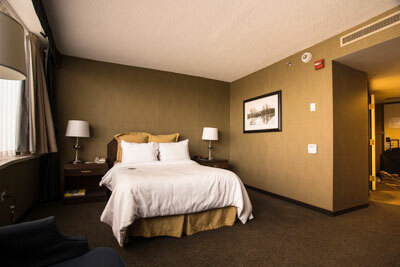 You’ll want to spend a few days in Edmonton on your cultural getaway, and the Chateau Lacombe (780-428-6611, www.chateaulacombe.com) is a very comfortable and accessible place to hang your hat. Located just a short walk from the Arts District, the property features accessible rooms with great views of the North Saskatchewan River Valley. There’s level access to the front lobby, with plenty of room to maneuver a wheelchair, and elevator access to the upper floors. Room 704 features wide doorways and good pathway access on both sides of the double bed. The room is furnished with a desk, a chest of drawers and nightstands, and it also features lowered environmental controls. 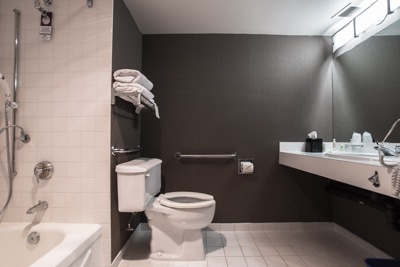 The spacious bathroom has a wide doorway and a full five-foot turning radius. 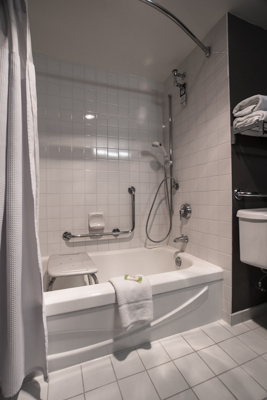 It’s equipped with a tub/shower combination with a tub bench, grab bars and a hand-held showerhead. Other access features include toilet grab bars on the back and left walls (as seated), a roll-under sink and a lowered make-up mirror. There is good access to all of the public areas, including the iconic revolving rooftop restaurant, La Ronde. Located on the 24th floor, the restaurant revolves once every 88 minutes, and offers a panoramic view of the city. Entrees range from rack of lamb, lobster tail and blackened halibut, to beef Wellington and chateaubriand; and the emphasis is on fresh ingredients and classic preparation. A prix fixe menu, which contains a an appetizer, soup or salad, and an entree, is also available. Whatever you order, you just can’t beat the view, and it’s the perfect opportunity to see the beautiful city from an entirely different perspective. Take your time and savor the moment!